When Nancy Silverton tells you that she’s just eaten the best panettone in the world, you pay attention. Sadly, at the moment Roy isn’t making the banana panettone that Nancy’s so fond of. So you’ll have to settle for his chocolate or candied orange panettone instead. That’s okay with me: no matter what flavor he’s making, Roy’s panettone is a revelation. Roy came back to the States to be pastry chef at Cyrus, the much-lamented restaurant in Healdsburg. He went on to Houston’s Common Bond. But last year he returned to the Bay Area and started his own panettone company, From Roy. 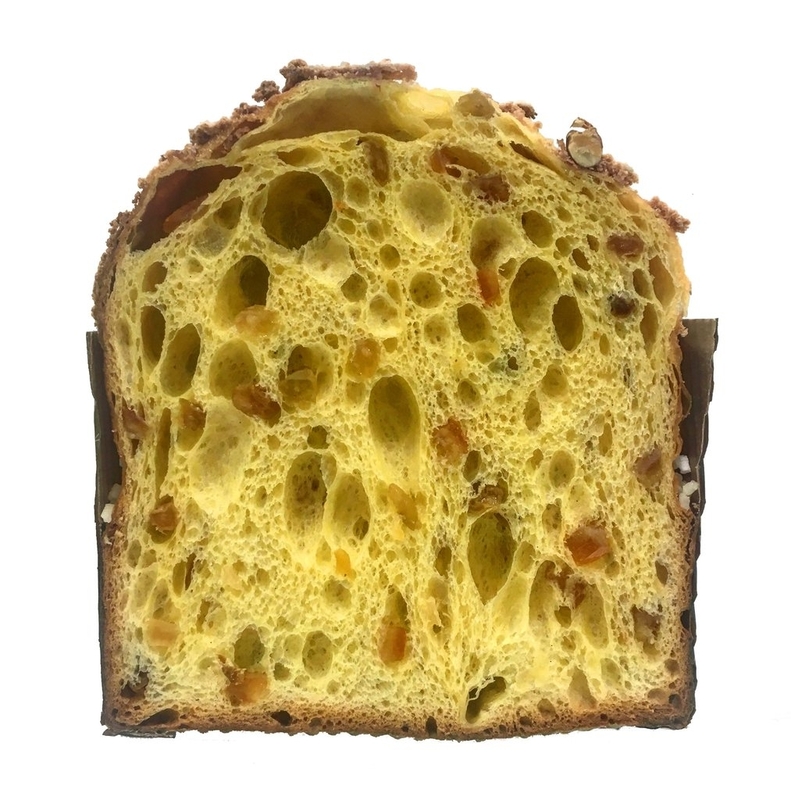 This is painstakingly made panettone which will change your idea of what panettone is. Trust me: you’ve never had anything like this. At $50 for a kilogram that will last a month, it’s expensive. But hey, it’s Christmas. Whether ordering it for yourself or your friends, I can promise you this: someone is going to be very, very happy. We head down to Federal Hill in Providence for the holidays and there are numerous excellent panettone cakes available. Great stuff and a convivial Italian-American Mecca.